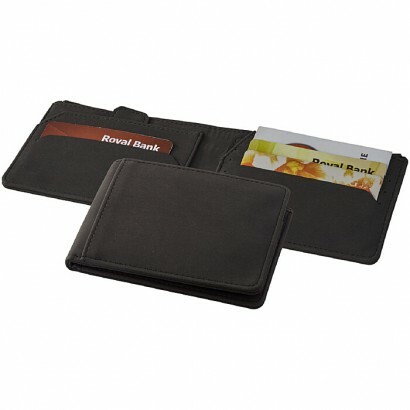 Smart design wallet with RFID blocking technology. Includes 4 slots to store multiple cards. 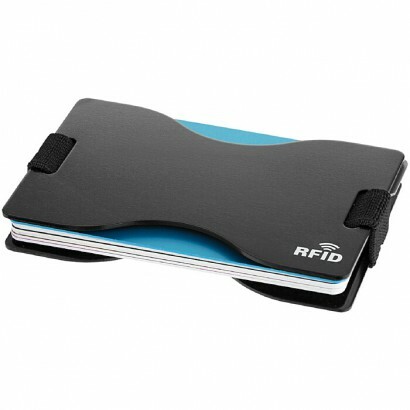 Flip to Secure function allows you to simply place your bills inside the wallet, close, open in the opposite direction and they're strapped securely away. Presented in a Marksman gift box. 300D Polyester. 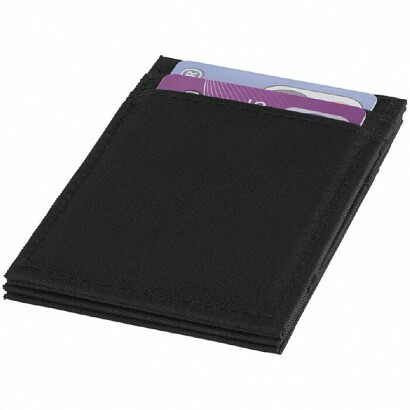 RFID protection wallet with secret compartments such as a hidden key sleeve, a hidden back panel for extra cash, pocket for extra cards with easy access pull-tab, four card pockets, a front pocket as well as a cash pocket. Presented in a Marksman gift box. PU and polyester. Maintaining the pen's smooth line by thoughtfully carving the clip out of the main barrel proves there's always another way of doing things. 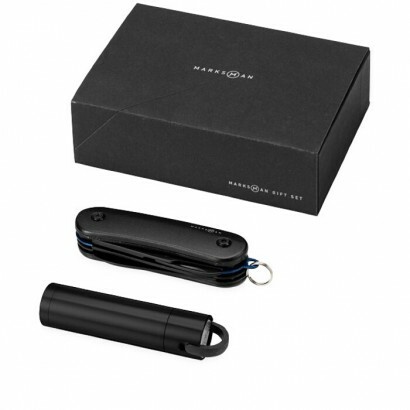 Exclusive Marksman design ballpoint pen with twist action mechanism, Swiss-made refill, Marksman cardboard penbox (size: 15 x 2 x 1.5cm). Plastic & metal. 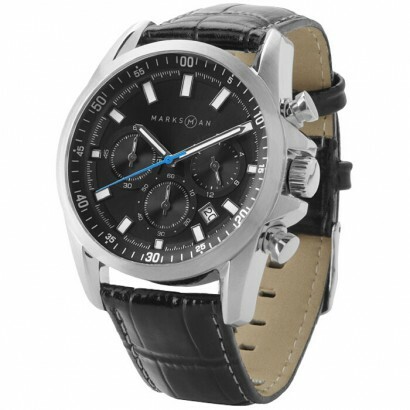 Exclusive design 5 ATM water resistant watch with chronograph and luminous hands, including batteries. Packed in a Marksman gift box. Stainless steel, genuine leather. 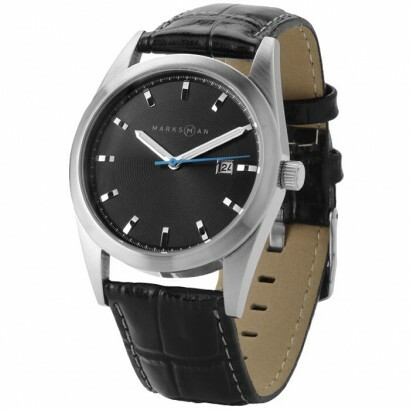 Exclusive design watch including batteries, 5 ATM water resistant watch with date and luminous hands. Packed in a Marksman gift box. Stainless steel, genuine leather. 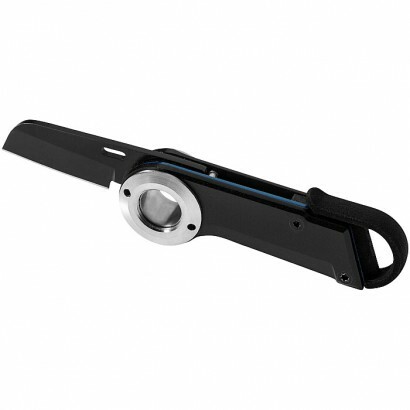 No core featured knife with a 420 stainless steel blade with black finish and G10 handle. 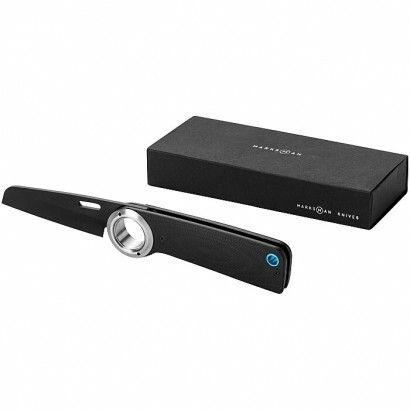 Features a liner lock to safely hold the open blade in place. Belt clip at the back with the engraved Marksman logo. Packed in a Marksman gift box. Exclusive Design. G10 and Stainless steel. 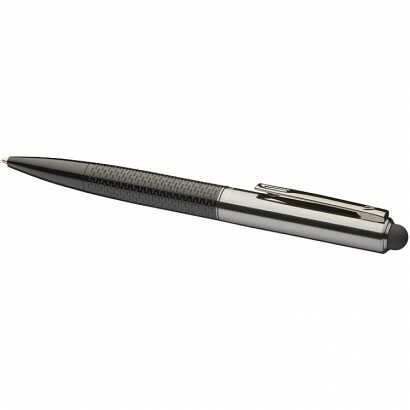 Exclusive design stylus ballpoint pen with a stylish patterned lower barrel. 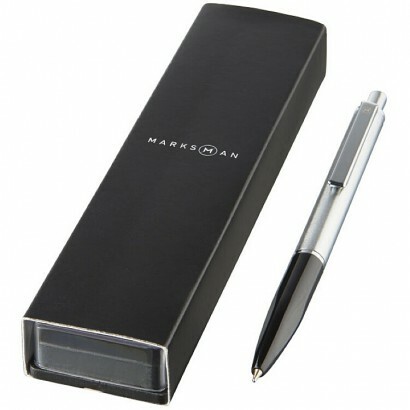 Includes a premium quality black ink refill and is packed in a Marksman gift box. Metal. 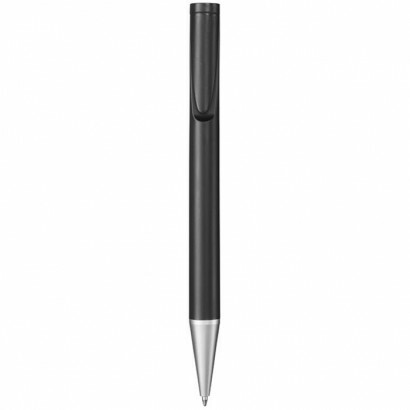 Click action mechanism ballpoint pen with comfortable grip. Packed in a Marksman gift box. Metal and ABS plastic.